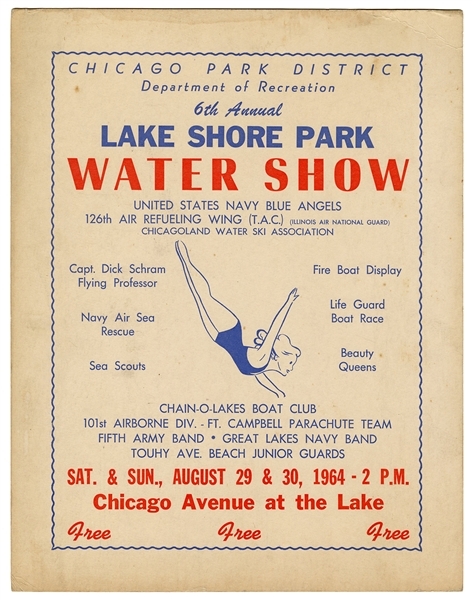 Lot Detail - Lake Shore Park Water Show. Chicago Park District. 1964. 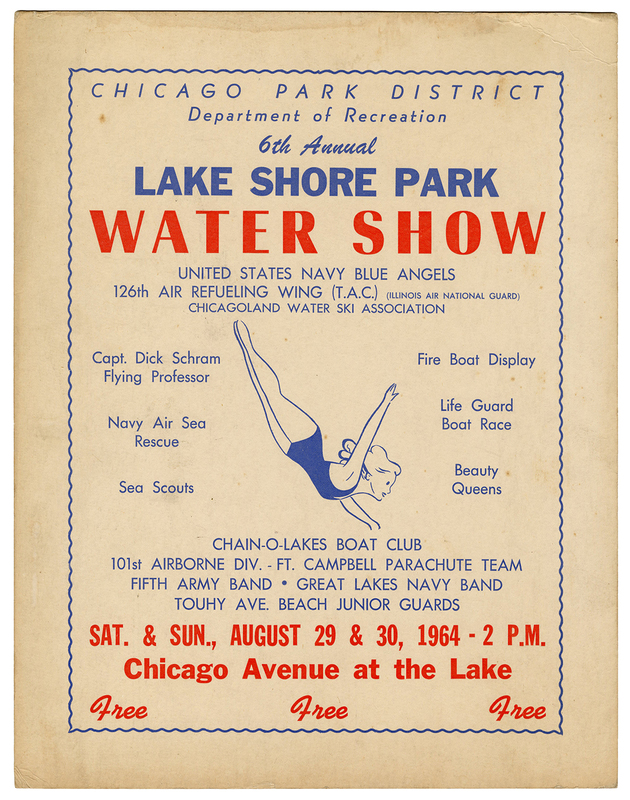 Lake Shore Park Water Show. Chicago Park District. 1964. Lake Shore Park Water Show. Chicago Park District. 1964. 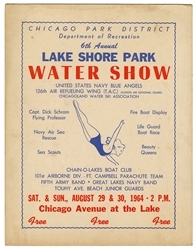 Window card advertising the sixth annual Water Show (eventually renamed the Chicago Air & Water Show) including the Blue Angels, water skiing, boat races, beauty queens, sea scouts, and other attractions. 14 x 11”. Light spotting, marginal creases, else very good.